Username live availability is one of the most important thing the database field, why because mostly we have to different kind of username and unique name for all users. then only we can identify the individual user, so for here we are going to check the database field for already existing username availability. so here we are using php fetch coding and AJAX live check without refreshing of the page. span id="status" is for show the result of the output. that's it. for live availability check username using php, mysql, and Ajax. enjoy with demo. but if we want to check the availability of two fields separately .keyup() then how to do that ? 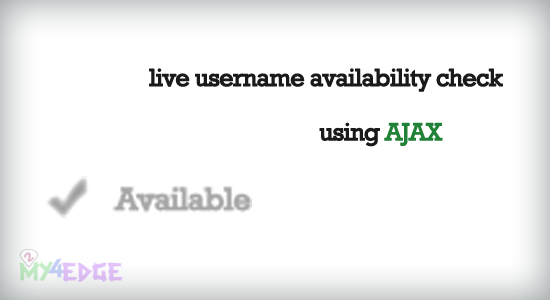 Username live availability Check using php and Ajax AND JQUERY ! WHERE in your code are you calling the AJAX ????? How to combine these 2 functions to achieve desired result (NOT submitting form if username is NOT available) ??? this does not work with latest version of jquery 3.2.1 can you update it?